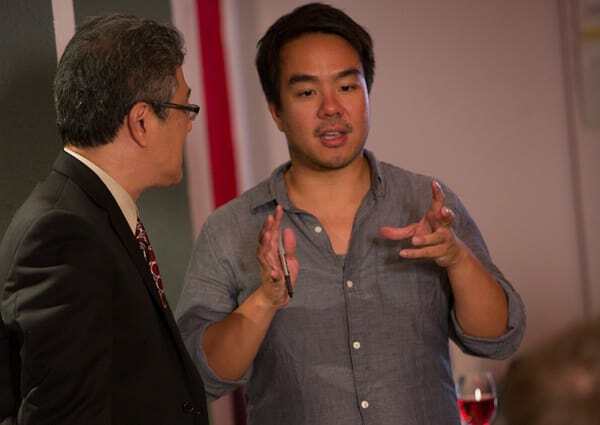 Director David Au has led a life inspired by creativity; from Hong Kong to Hollywood, and from theater to film. Au, who is also a writer and producer, is most recognized for his indie film, #EatWithMe, starring Sharon Omi, Teddy Chen Culver, and George Takei. David and I recently discussed his experiences bringing ｢Eat With Me｣ to life, how he got started in film, and his upcoming projects. How did you get into filmmaking? What makes a great film, in your opinion? How did you bring that to ｢Eat With Me｣? What is your favorite memory from making ｢Eat With Me｣? ｢Eat With Me｣ was, as you mentioned, years in the making, from the film school thesis project, ｢Fresh Like Strawberries｣, to the feature film. What was it like to see the project conclude after so many years? Your film incorporates both the Asian American and LGBTQ communities. What feedback have you gotten from members of those groups? What do you think ｢Eat With Me｣ brings to the table that makes it unique and fresh compared to other films? You’ve shared that the scene where Emma’s husband cuts off his wedding ring is inspired by a true incident where your father did the same thing. What other moments or experiences in your own life did you draw on to write this story? Which character do you identify with most? What is it about them that you relate to? How did you decide that the film would focus on Emma and her journey as much as, if not more, than on Elliot and his? If you had to imagine where the characters of ｢Eat With Me｣ are in their lives now, where would they be? What other projects have you been involved in since ｢Eat With Me｣? Can we expect more films from you in the future? Check out ｢Eat With Me｣, available now on iTunes and Netflix, and keep an eye out for David’s upcoming films!